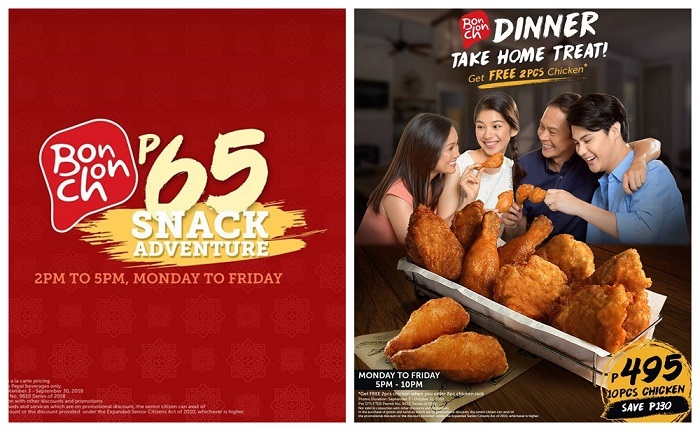 Jazz up your foodie fun with Bonchon Snack Adventure Promo! Say hello to another round of food steals and deals! Gravitate toward flavorful goodies and dig into our all-time favorites. 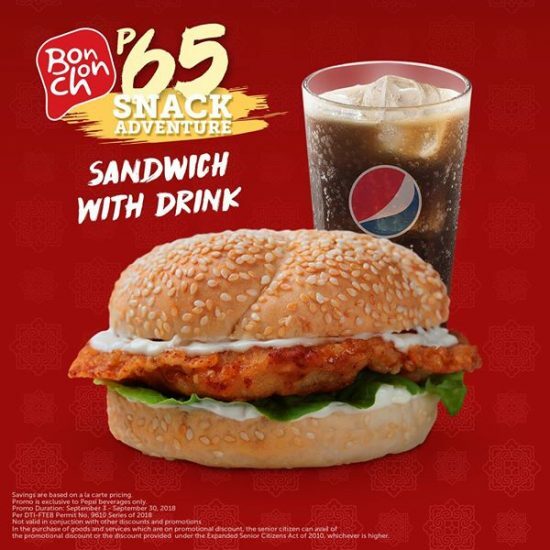 Munch one or get them all because the Bonchon Snack Adventure Promo is here for ONLY ₱65 each! 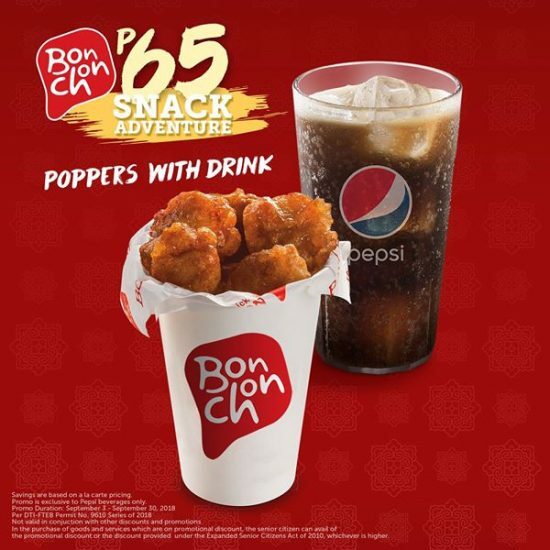 Whether you plan to pop in for a quick snack, indulge in a tasty treat or settle down for a hearty meal- Bonchon treats never disappoint an audacious palates. 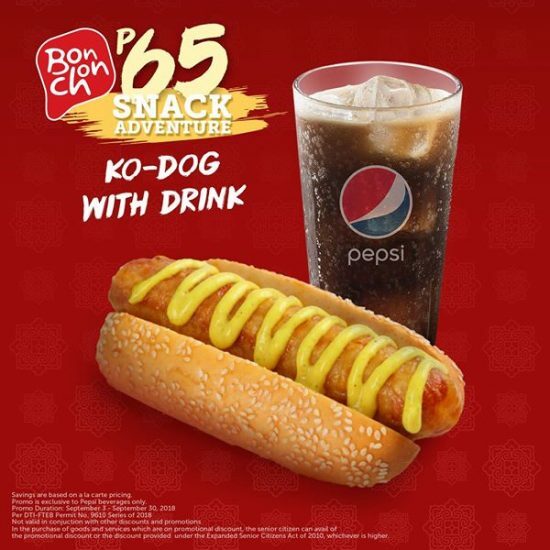 Choose from CLASSIC KO-DOG with drink, CHICKEN POPPERS with drink, MANDU (sides) with drink or SNACKWICH with drink. 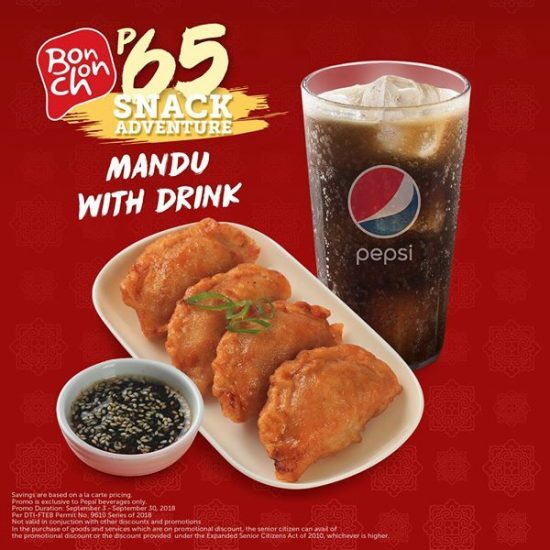 The promo is valid for PEPSI BEVERAGES ONLY and available for DINE-IN and TAKE-OUT transactions. 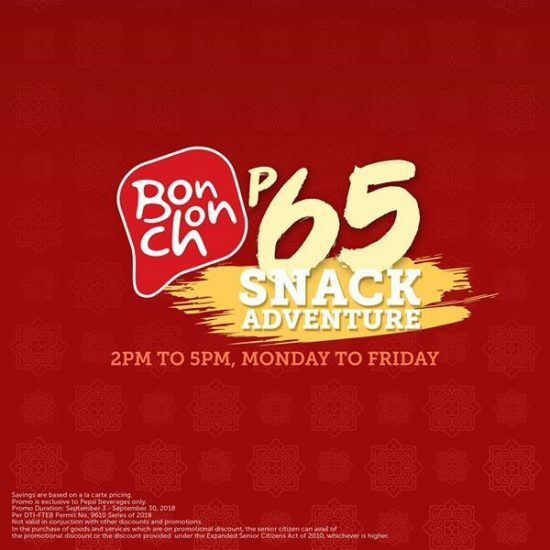 The Bonchon Snack Adventure Promo will run until September 30, 2018 in almost all stores nationwide. This offer is available Monday to Friday from 2:00 PM to 5:00 PM. Looking to fill a whole squad? Enjoy a stress-free mealtime with your family or friends- thanks to Bonchon Dinner Take Home Treat! Share more of your favorite Korean adventure when you order an 8-piece Team Bonchon Box for only Php495. Enjoy the Php130 savings as you devour onsticky and savory bites of 2-piece K-Style Chicken for FREE. 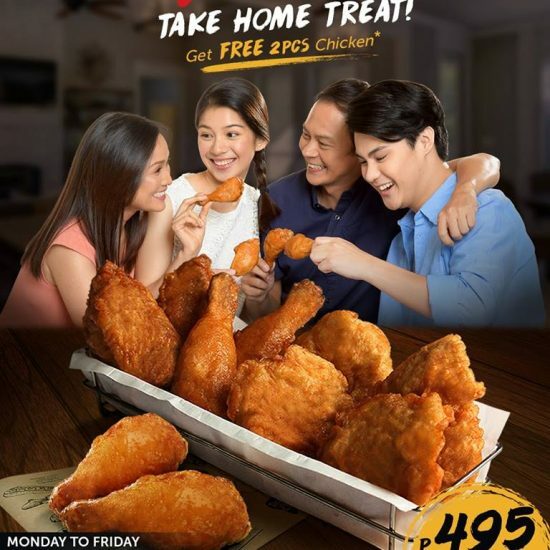 The promo is valid until October 1, 2018 and available for TAKEOUT and DELIVERY ORDERS! The offer is VALID from 5:00 PM – 10:00 PM only, Monday to Friday. You can place your order by calling 633-1818 for METRO MANILA DELIVERY. There is P300 minimum order and 10% delivery charge applies. You may also order online by clicking HERE.